I recently came across a Facebook post where a woman posted the exact date her spouse would be deploying. My initial thought was, "Why on earth would you think that is okay to post?" But to be honest it can be easy to not know what is okay to post about deployments or trainings on social media. The military only makes up about 1% of the US population and has so many different rules and regulations it can be hard to keep track. In an age where you can find wifi almost anywhere, OPSEC is probably the most important thing to understand in regards to keeping your spouse, friend or family member's safety in mind while they are overseas or training. It is also vitally important for YOU. The odds that someone in the Taliban is simply sitting around looking through your Instagram feed isn't extremely high but people are out there specifically to gain intel from spouses and military members online. Finding out the where and when of troop movements, deployments or training is their goal. I'm not trying to make this sound dramatic or scary but there are people who want to hurt your spouse and might use you as a way to get that information...and you wouldn't even know it. If there is one person who has trouble taking things seriously....it would be me. I couldn't sit through an episode of Army Wives without cracking up at the most inappropriate time, which is probably why I stopped watching it. 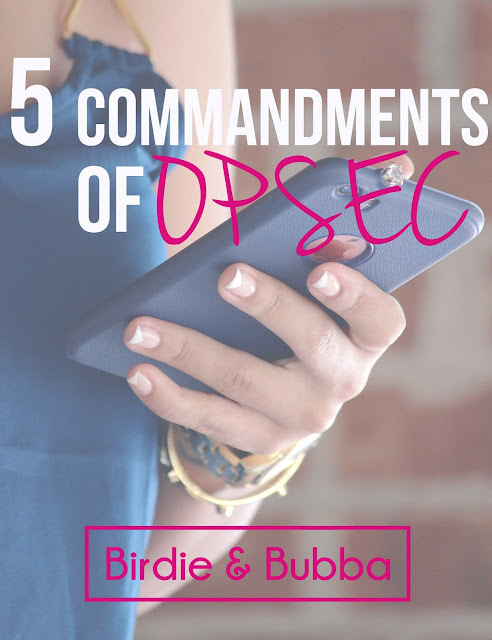 OPSEC is absolutely something to take seriously and understand thoroughly for the safety of not only your spouse but everyone they are deployed with. 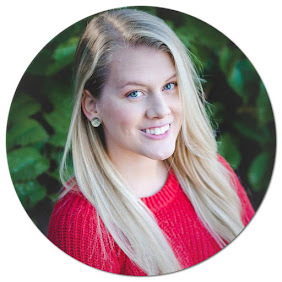 Social media wields so much power these days that we often forget that what we post or say can have a bigger impact than we originally thought. Just because they are in a military spouse support group doesn't mean anything. I could probably make an entirely fake fb profile and get into most groups no problem. Someone may want to make friends or meet people and that is totally fine BUT you better really make sure you know this person is actually who they say they are. A few years ago, there were some rumors going around of thieves targeting women who had "army wife" or "half my heart is deployed" stickers on their cars....it was complete BS. However, I'm not entirely sure why you would want to openly announce that your spouse is deployed or that you are home alone. I'm sure you can handle yourself just fine....but no reason to make it blatantly obvious that you are the only one home for months. This isn't technically OPSEC but I feel like it is something that needs to be said. Having a spouse be gone for months or even years is extremely difficult and can be one of the hardest things you will deal with. All of us have a story of how we handled the distance or how we overcame the challenges of reintegration and they all matter. Sometimes, people take OPSEC as sometimes meaning that you should NEVER talk about deployments ever which is not the case. Your story matters and but it doesn't need to include details that the could threaten the safety of your spouse and others.